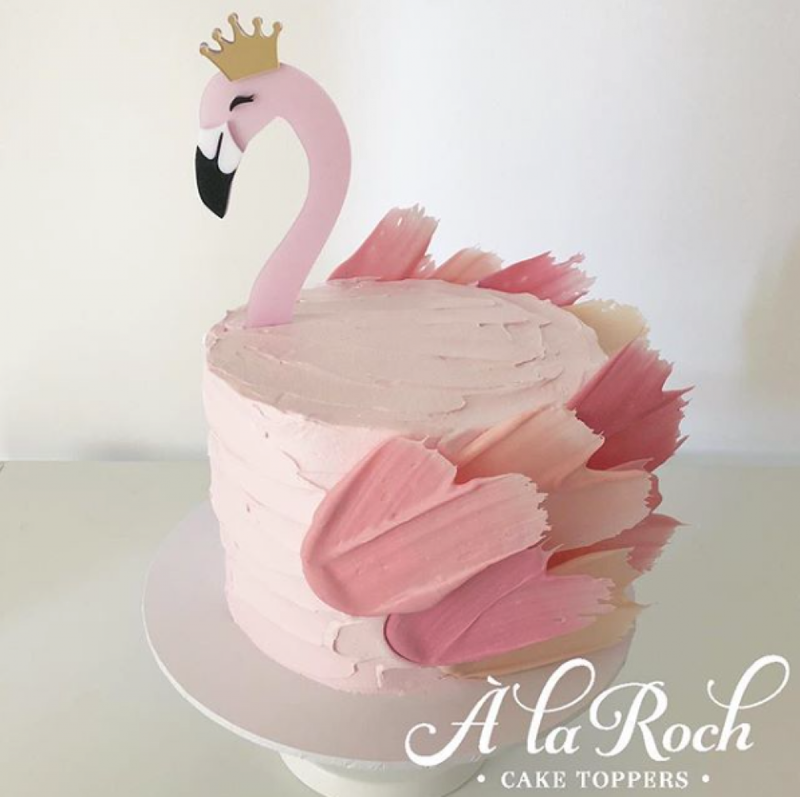 À la Roch Toppers are cut from high quality 3mm materials, The Flamingo Head Cake Topper is a pearl pink gloss with white, black and gold mirror detailing. The topper is shown on a 7″ wide, 6″ tall cake and measures 14cm high, 7cm wide plus a 6cm stake. Custom sizes can be cut, please use the contact form for a quote. You can reuse your topper when handled with care, simply sponge the stake where the topper has been inserted into the cake, let it dry and place flat in a safe place till your next celebration. 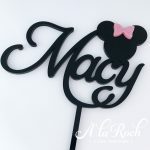 Toppers are Australian made and are posted Australia wide and internationally.